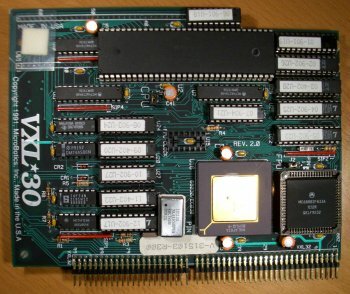 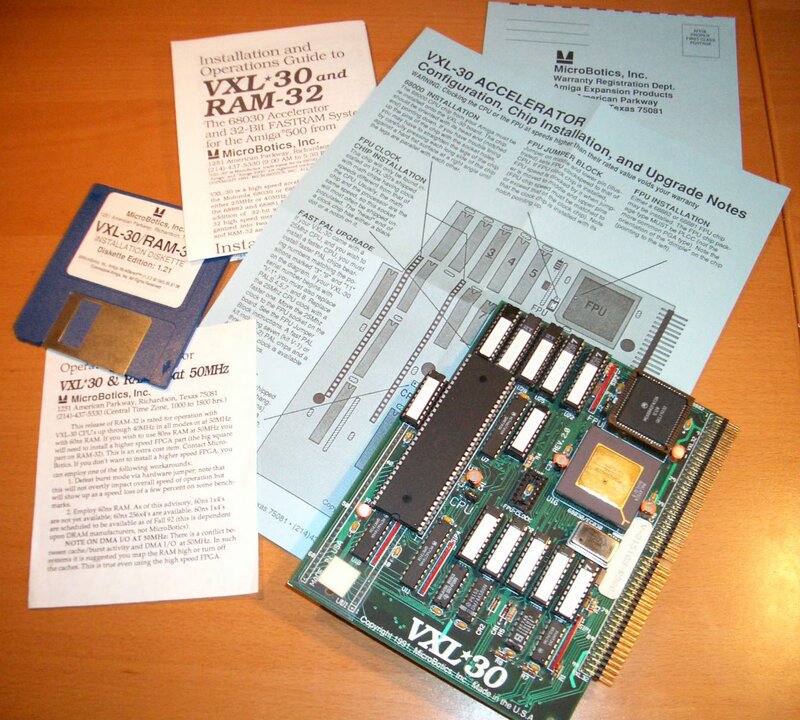 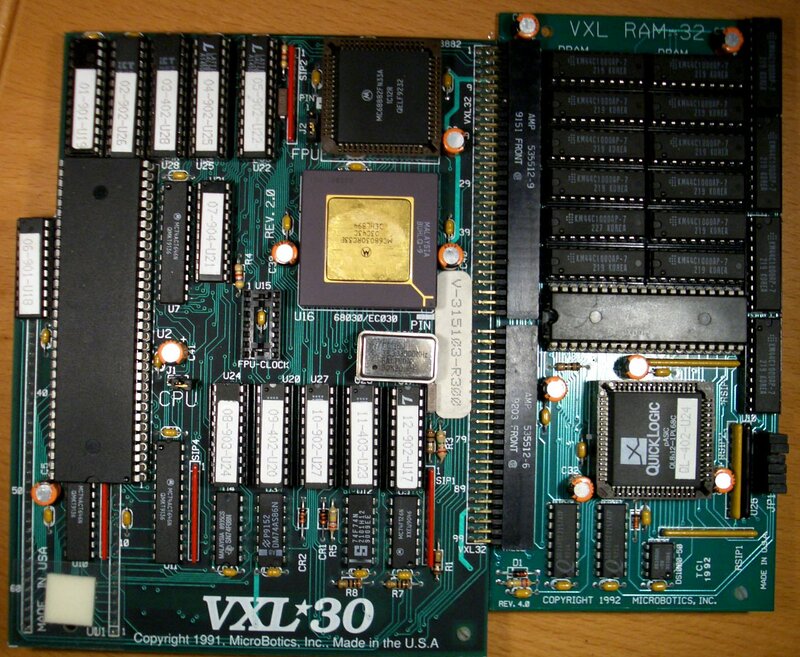 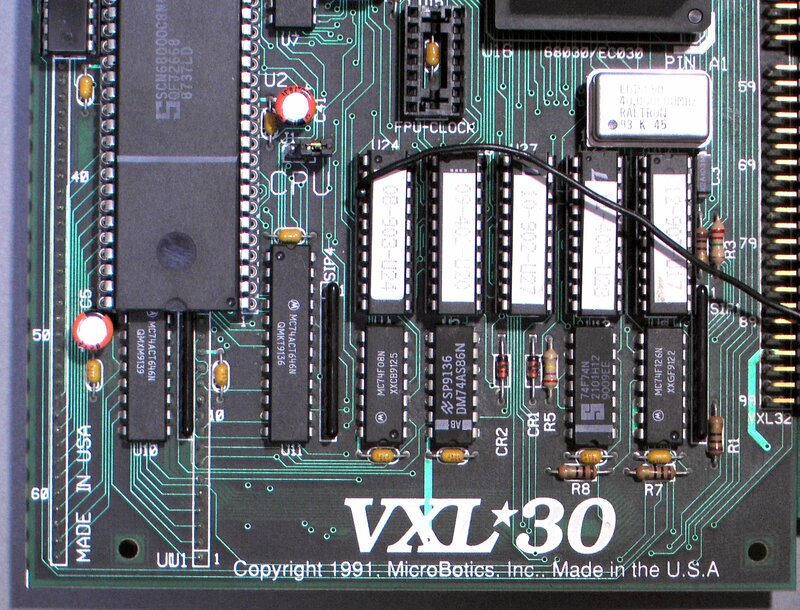 VXL-30 with VXL RAM 32 attached. 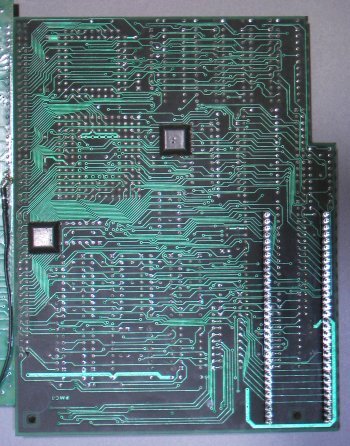 MMU: Internal for full 030's, None for EC030's. 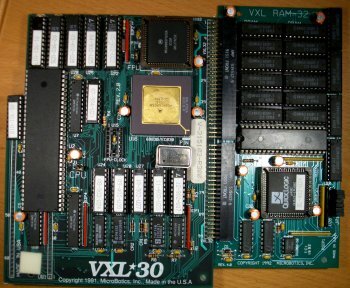 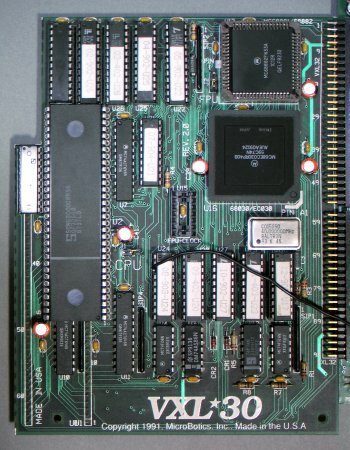 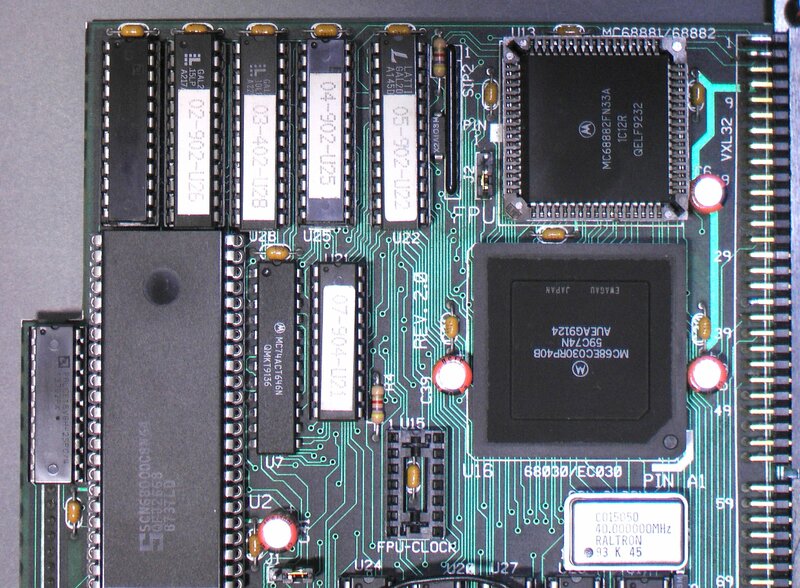 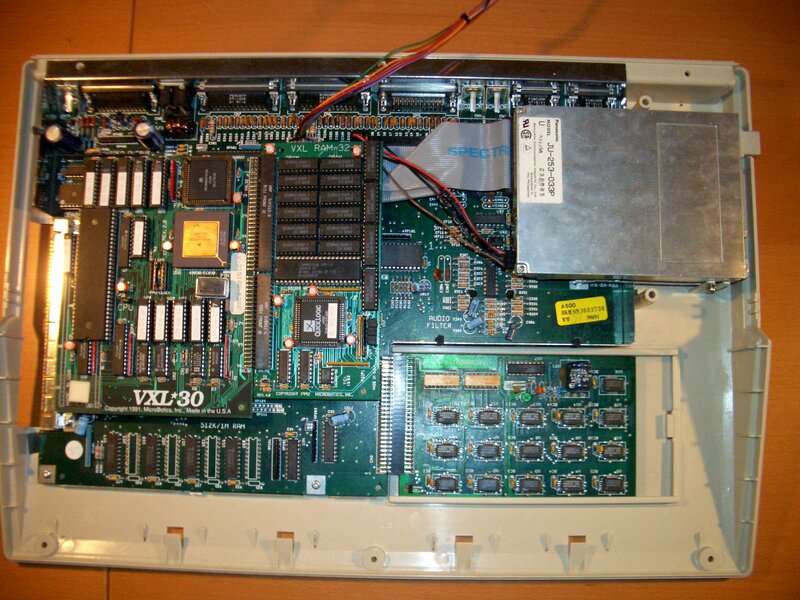 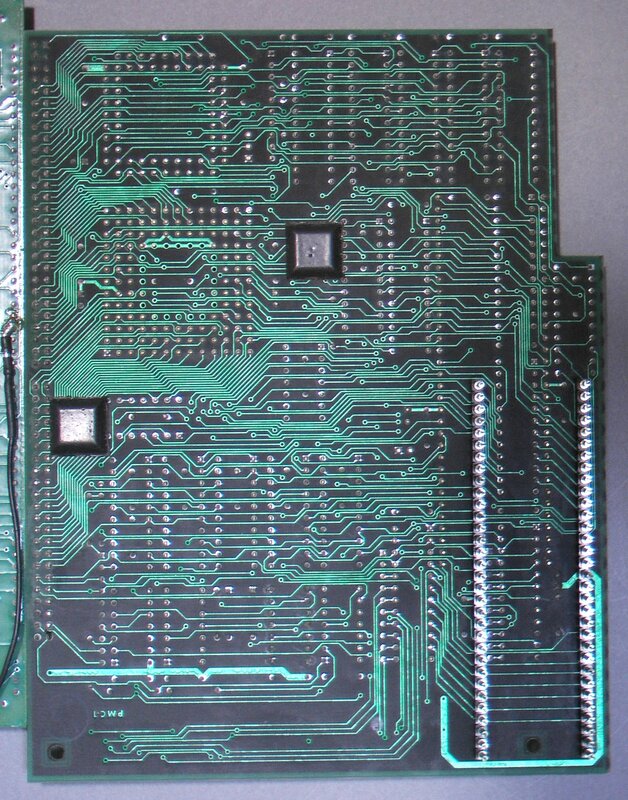 An accelerator for the A500 and A2000 which sits in the CPU socket. 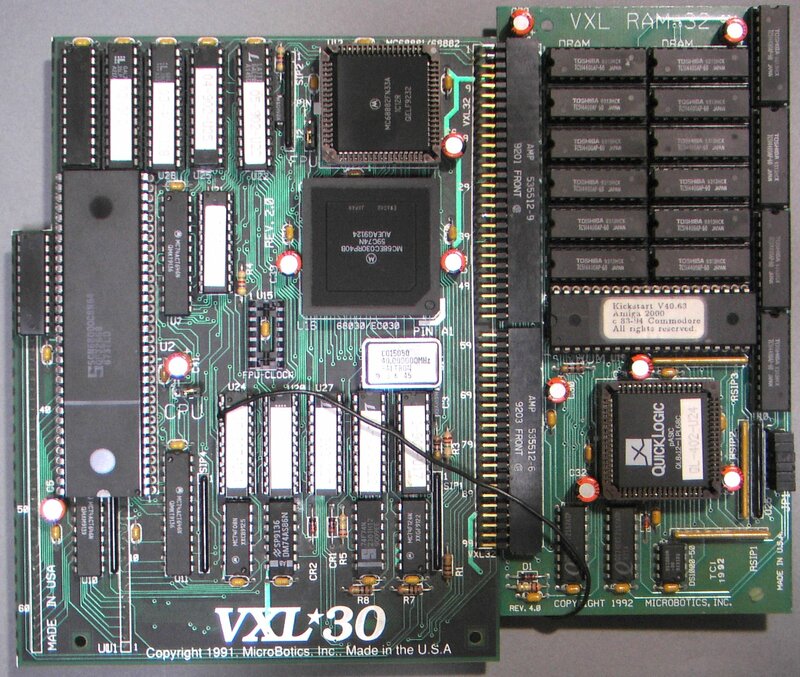 Additional RAM can be added by attaching the VXL RAM 32 daughterboard. 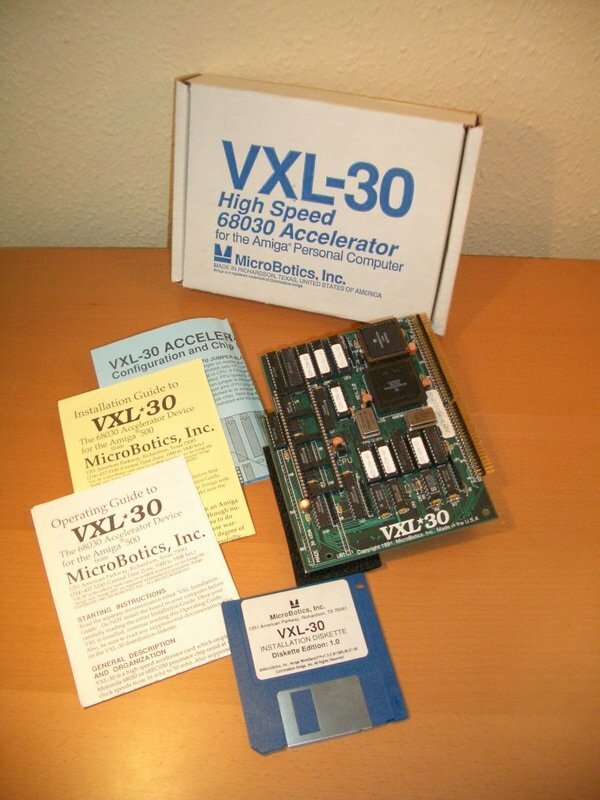 A 68000 can be installed on the card as a fall back for old incompatible software. 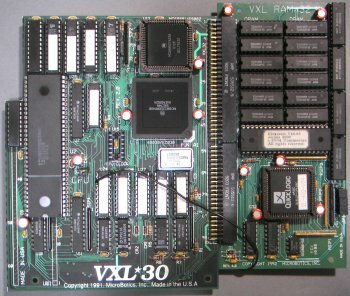 The RAM card also has a socket for installing the Kickstart chip for an additional performance increase.